Indulge in these gluten free biscuits, cakes and chocolates – because the best days begin with dessert. A delicious choice of organic, dark and dairy-free milk chocolates, gluten free chocolate muffins, fruity tiffin, delicate vanilla shortbread, wild blueberry conserve and traditional fudge. 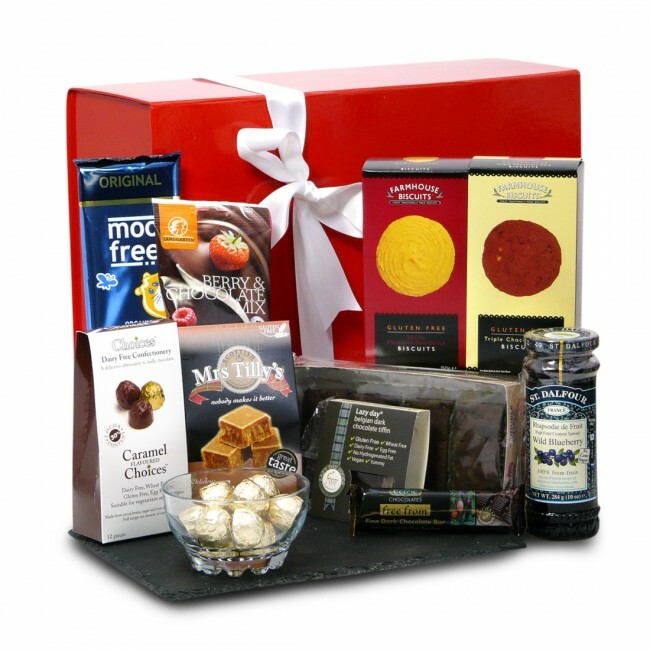 The gluten free food and drink in the Sweet Tooth Gift Hamper is carefully packed by hand in a gorgeous gift box. If substitutions are required, you will receive items that are the same (or higher) value and that will compliment your original selection.